The locals say that once you’ve been to Bali, you will always kembali, (return). This is particularly true for hubby and I, who between us have visited the Island of the Gods more than 10 times. So it was only natural that we would want to bring our baby Aidan to this beautiful Indonesian island. This year, we have had 2 great trips to Bali with Aidan, (and we are going for the third time with Aidan tomorrow!) but that’s not to say we weren’t apprehensive and nervous in the beginning. After all, how on earth do you enjoy the best nightlife, spas and beaches that Bali has to offer, with a baby in tow? Just because you’ve got a baby, doesn’t mean that the highlight of your holiday is eating room service dinner as silently as possible and hitting the sack at 9pm. We’ve always envied families who seem able to effortlessly enjoy dinners while their baby sleeps in the stroller or calmly flips an alphabet book. We tried bringing Aidan to the award-winning Sarong Restaurant but as it was his first time out after 8pm, we could see it was getting increasingly stressful for him. So, we sent Aidan back to the villa, where our Balinese babysitter expertly changed him into pyjamas, made him a bottle and put him to bed. Witnessing her competence settled our nerves and we used babysitting services every night, enjoying our evenings knowing that Aidan was in safe, caring hands. The Balinese are known for their gentle and calm nature; which children respond well to. On some nights we’d even come back to find his toys had been cleared away and clothes neatly folded. We highly recommend Bali Krisna Services (+62361-264-738/+6281-236-54977) as they were wonderful with Aidan and didn’t charge transportation fees nor imposed a minimum number of hours. The average cost is 50,000IDR or RM14 per hour, which is a bargain. You can also try Bali Sri Devi (+62361-926-1197), BVRS (+6281-2292-62392) or Bali Child Care (+6281-3619-8217). Villa vs. hotel? Both have their pros and cons. Having tried both, our advice is to choose what suits your lifestyle and budget. Villas are great if you prefer to cook and have that homey feel. However they can feel isolated and for us we preferred an environment where Aidan could also interact with other kids. 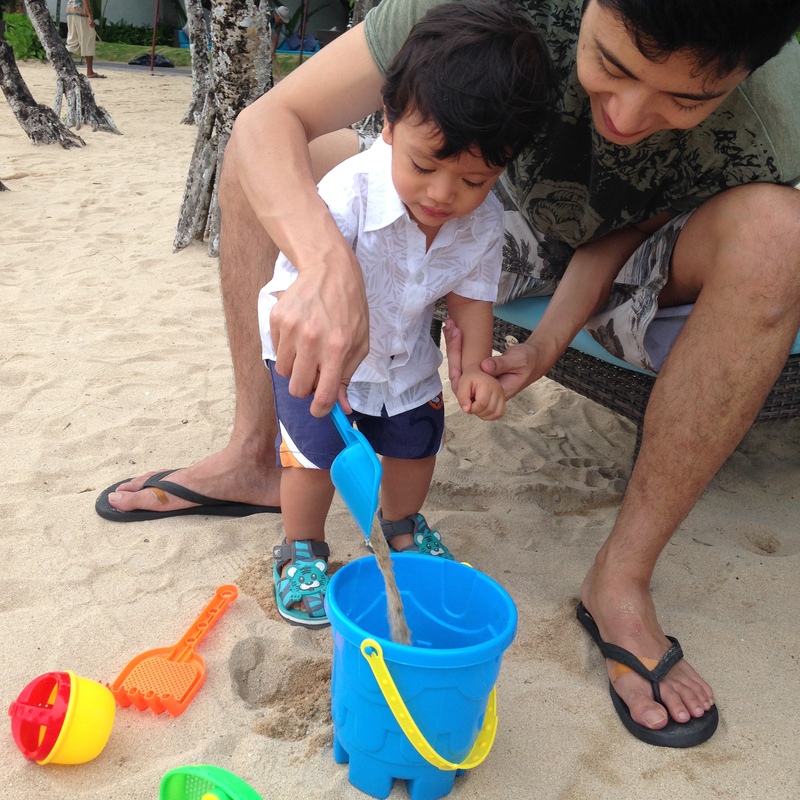 There are so many child-friendly resorts in Bali, but we can only vouch for The Marriott Courtyard in Nusa Dua where we stayed. 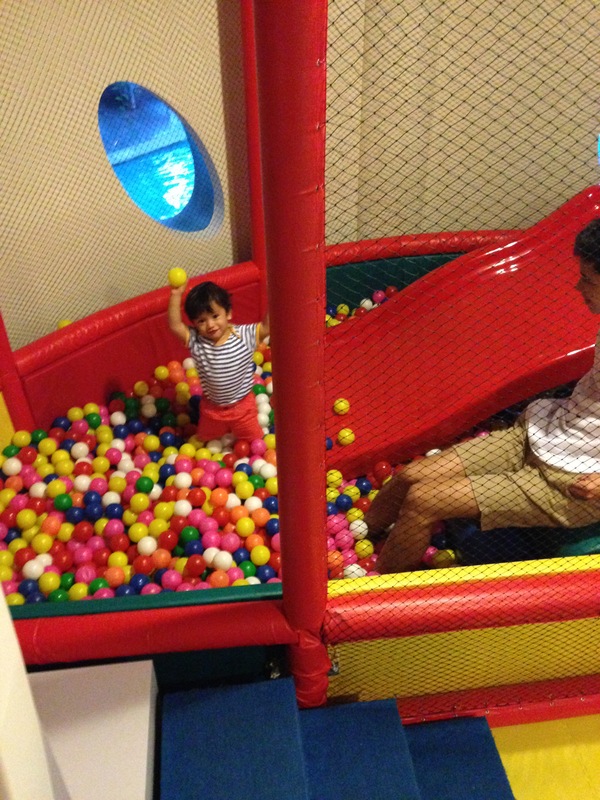 It has an amazing kids club with a great ball pit that Aidan practically lived in. When staying in a hotel, we would always recommend booking a suite so that you can enjoy some privacy. Nusa Dua is a family friendly area in Bali with beautiful resorts, beaches, kids clubs and The Bali Collection mall complex- all within walking distance of one another connected by stroller-friendly, landscaped trails. It is far from the cultural attractions of Bali but is perfect for young children and essentially, there’s nowhere you couldn’t get to easily from Nusa Dua in a hired car. There are plenty of child-friendly hotels in Bali. 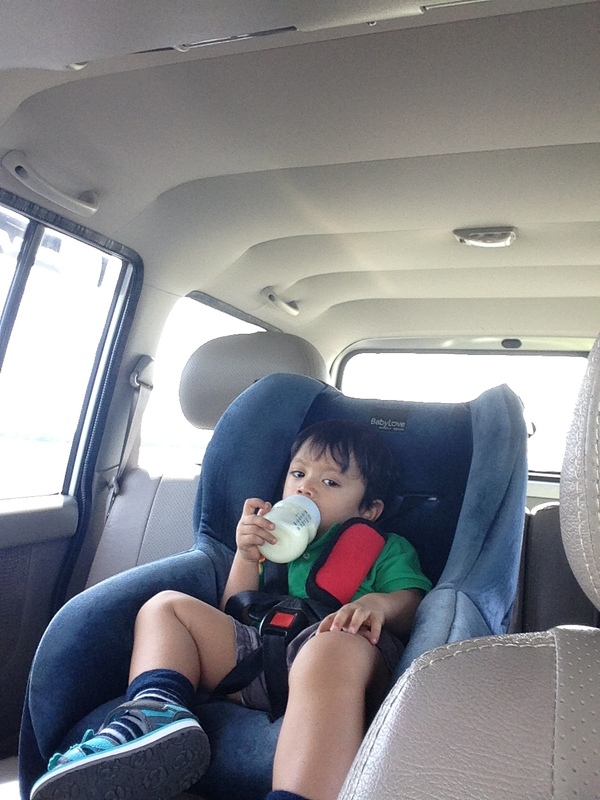 Car seats and child proofing equipment are easy to rent in Bali. 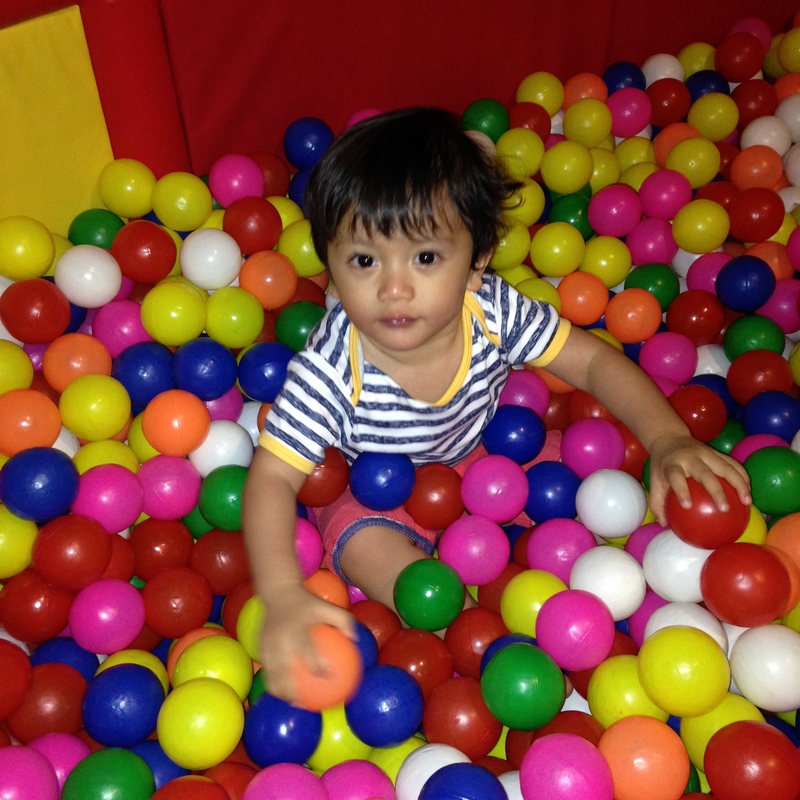 There are plenty of exciting activities for older children such as Waterbom Bali or surfing lessons but it’s a different ball game with a baby/toddler. 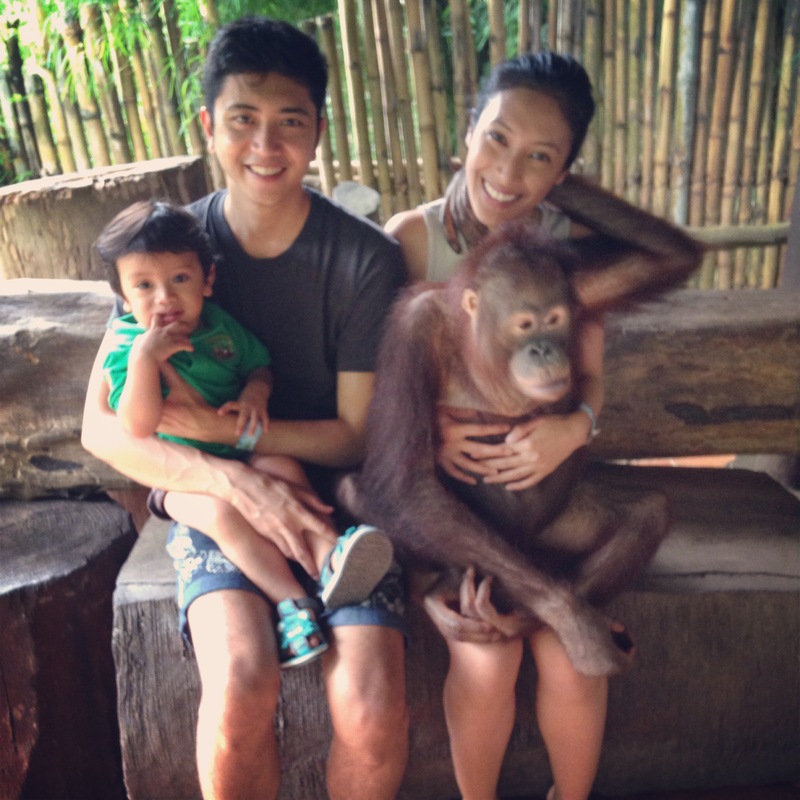 Aside from daily trips to the beach, we loved visiting the Bali Safari and Marine Park. It is on the pricey side but totally worth it. The animals were healthy and roamed happily in their huge enclosures as you drive past in an air-conditioned Safari Tram (a short bus with large viewing windows). The hour-long Bali Agung show was an amazing highlight, depicting the story of the Gods in a world-class theatre production, although Aidan slept right through. The safari offers free shuttle services from key areas of Bali but we recommend booking your own driver for the flexibility and convenience. There are several levels of packages on offer and we found the “Jungle Hopper” was perfect. Get the best deals on discounted tickets online at www.govoyagin.com . If possible, do bring frozen home-cooked meals which the hotel will keep in their freezer. You can ask for a microwave to be set up in your room or the hotel will be able to heat up the food in the kitchen. We went into a major panic when the kitchen staff misunderstood and heated up Aidan’s entire week’s supply of frozen food on our second day, however Balinese hospitality saved the day when the front desk staff insisted they make a new batch from scratch following my recipe. Use bottled water for everything and bring sterilising tablets for your baby’s bottles and bath. Try not to give your child fruit juices, ice, exposed meat or anything that a fly has landed on – being extra careful will save you the stress and expenses of having your child admitted into a hospital abroad. Lastly, don’t forget to bring sunblock, insect repellent and most importantly a smile; it is a holiday after all and although it helps to plan with military precision prior to departure, don’t forget to let loose once you arrive and just go with the flow. This entry was posted in Uncategorized and tagged babysitter, Bali, Bali with a baby, beach, carseat, holiday, hotel, Infant, island, paradise, parenting, resort, safari, safety, toddler, tropical, vacation, zoo by diyanaabbas. Bookmark the permalink. Hi, may i have some recommendations for a good cooler bag for travelling with BM and baby food?